Ordering from our website is easy and safe. Once you have found the item you wish to purchase, click the “Add to bag” option and the item will be added to your shopping bag. Follow the directions through the checkout process to complete your order. You may also order over the phone by calling (800) 747-7552 during our normal business hours. All online purchases will be shipped free of charge within 24 hours of payment. All shipments move via Fed Ex 2nd day shipping. Signature will be required for delivery. Contact us for information on international shipments. Can I put an item on hold or layaway? We offer our customers layaway on items. For layaway, we require 20% down, and the item must be paid in full within 6 months. We can also place items in a sale pending status for 24 hours by request. Our inventory is vast and less than 20% of it is currently online. If you are looking for a special piece of jewelry, please call us locally or toll-free at (724) 458-1111 | (800) 747-7552. What is your warranty/refund policy? Your satisfaction is guaranteed. We accept returns on items for any reason within 5 days of receipt. All returns require an authorization number. Refunds will be offered upon receipt of the item. Items must be returned in original condition. To check on the status of an order or verify shipment, please contact our store at (800) 747-7552. Our staff is available 9:00 a.m. – 5:00 p.m. EST Monday-Saturday. Yes, Joden has a complete jewelry manufacturing facility, we are one of few in the country. Contact us to find out more about having a one-of-a-kind piece created especially for you. Can you answer questions I have about my jewelry? Yes, Joden can answer any of your questions regarding your jewelry. We have 3 graduate gemologists on staff and are considered experts in our industry when it comes to historical jewelry pieces. Joden has developed many long tern relationships with our customers through viewing and educating them about pieces that they bring in to us. We encourage you to contact us with your questions! Can you tell me what my jewelry is worth? Yes, with 3 graduate gemologists on staff, we are can provide you with a detailed appraisal for your jewelry that will be recognized and accepted by any insurer. We are also happy to provide you with cash evaluations. We are always looking to purchase new pieces for our collection and are particularly interested in antique and estate jewelry as well as diamonds 1 carat in size and greater. 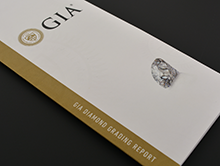 Is your jewelry previously owned? This is a common question and we welcome the opportunity to answer it. At Joden, we carry a wide selection of jewelry from all eras. True antique jewelry and estate jewelry will have been previously owned by someone. Jewelry is antique when it is considered to be over 100 years old and estate is anything less than 100 years old. Estate is really a technical term which means it was purchased from an estate, a bank or a private individual. A large portion of our inventory is considered to be antique or estate but not all of it. We carry many modern or new pieces and always indicate whether a piece is antique, estate or modern. Can you repair my broken jewelry? 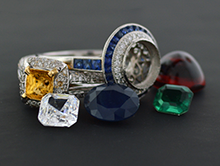 Yes, the jewelry repair and restoration department is an integral part of Joden. 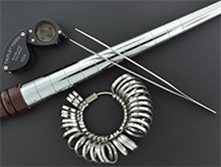 We can repair any damaged or broken jewelry you may have right on our premises. Is it safe to ship you my jewelry? Yes, we have many safe, fully insured shipping options. Joden is not an internet company but a brick-and-mortar store. We are a member of Jewelers Board of Trade and insured through Lloyd’s of London. We encourage you to contact us with any questions you may have about shipping your jewelry to us for repairs or appraisals.